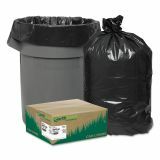 Earthsense Commercial Recycled Large Trash and Yard Bags, 33gal, .9mil, 32.5 x 40, Black, 80/Carton - Heavy duty recycled content liner is suitable for all trash applications. Convenience pack is ideal for small to mid size businesses. Star bottom seal construction distributes weight more evenly and resists leaks. Coreless rolls for convenient dispensing. State-of-the-art recycled content (75% Recycled; 10% post-consumer material). 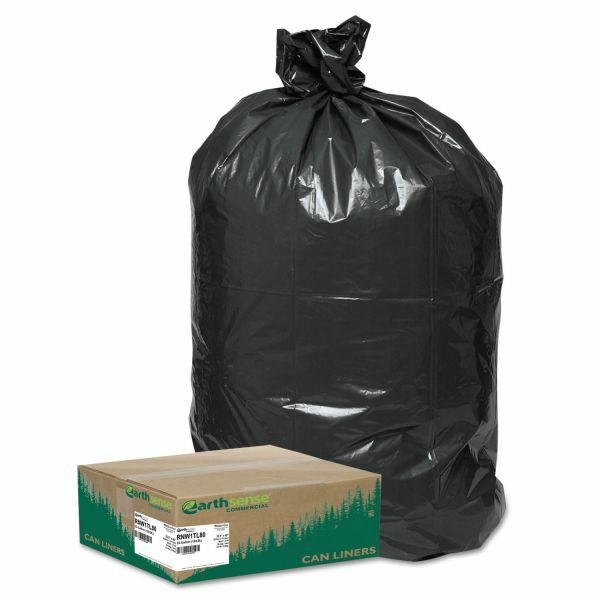 Convenience pack has a smaller quantity--ideal for small- to mid- sized businesses. Bags are individually folded for easy dispensing.